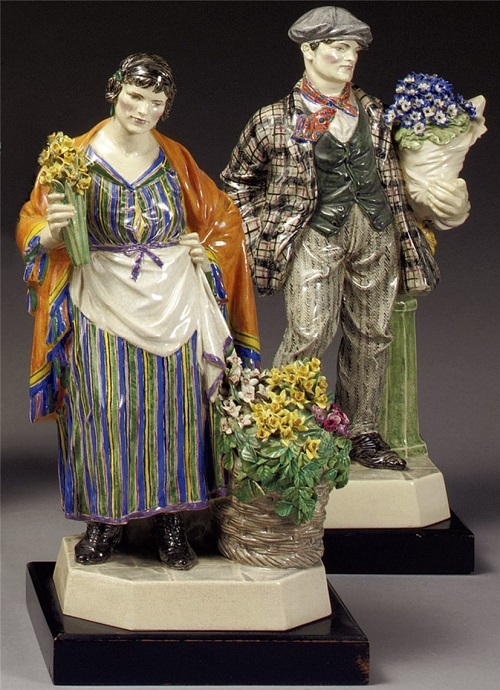 Charles Vyse is best-remembered for the thousands of pieces produced by a studio pottery at Cheyne Walk in Chelsea, which he started in 1919 with his wife Nell. 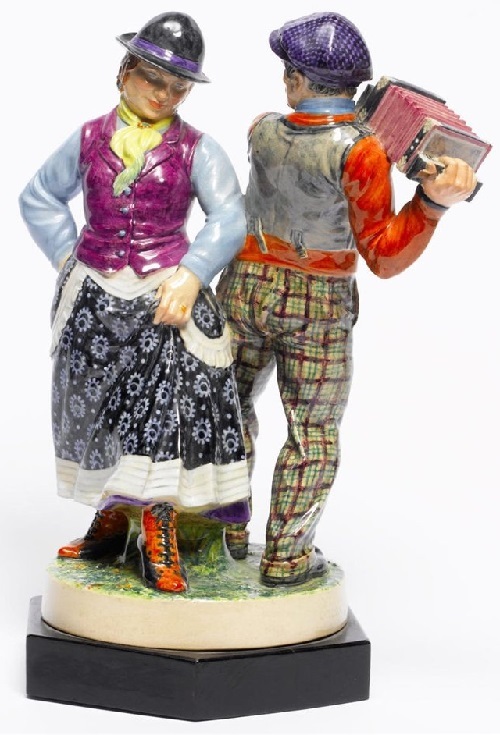 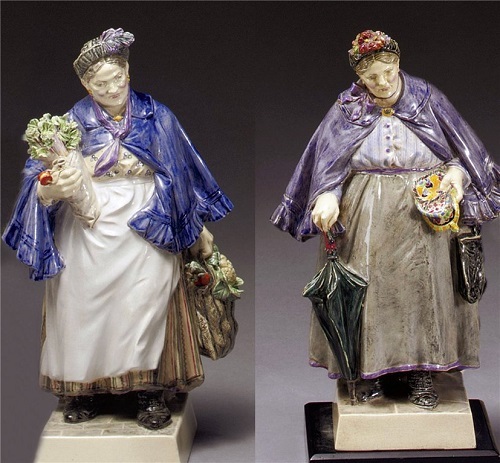 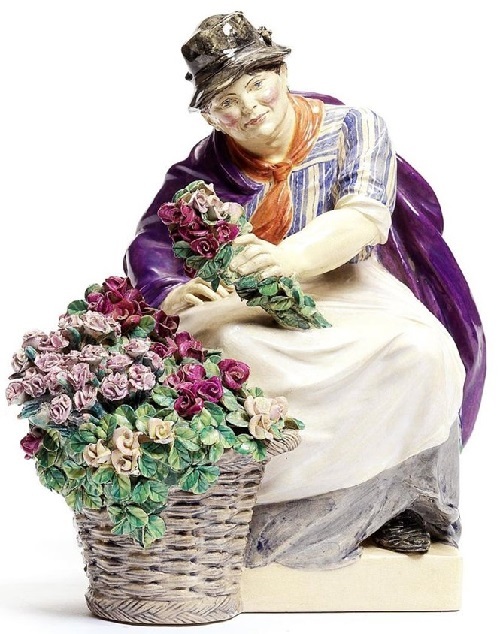 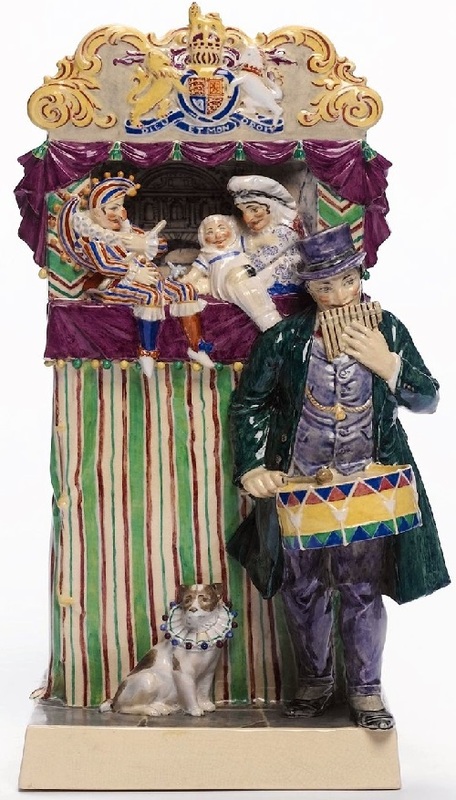 Here they produced figurines based on ordinary people seen in London. 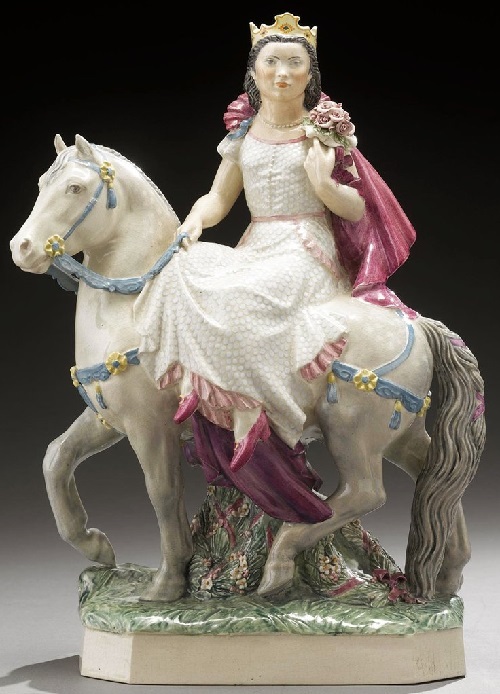 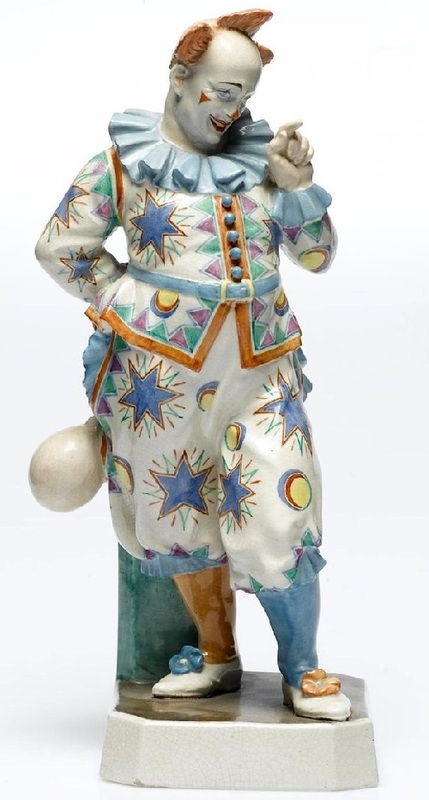 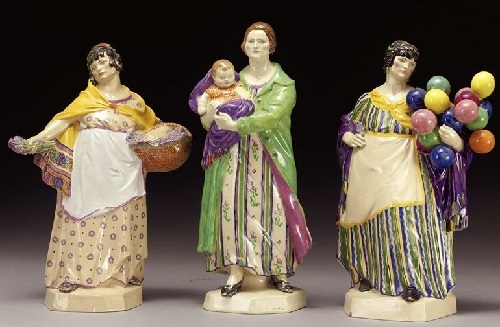 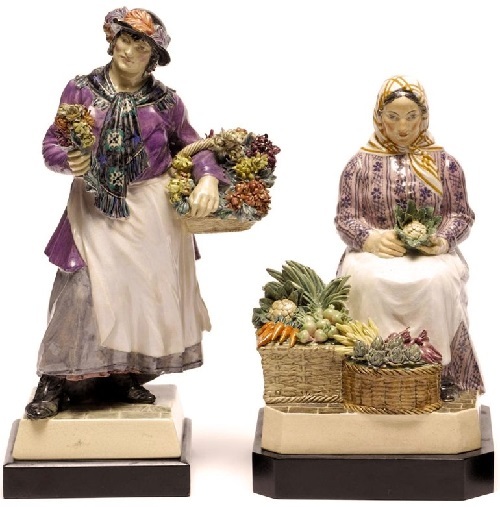 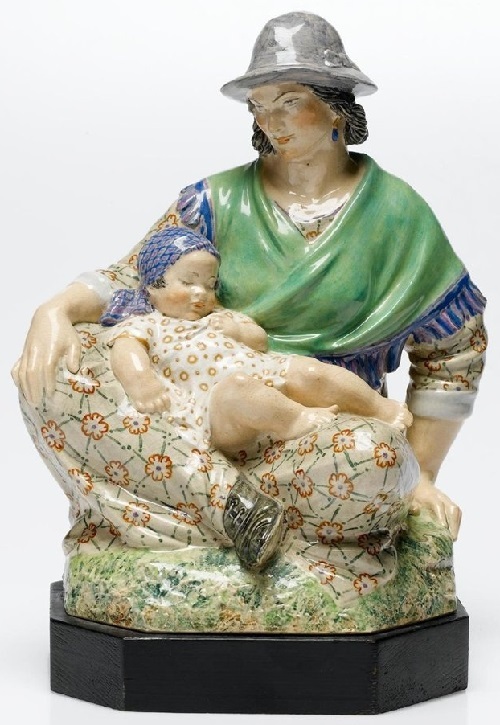 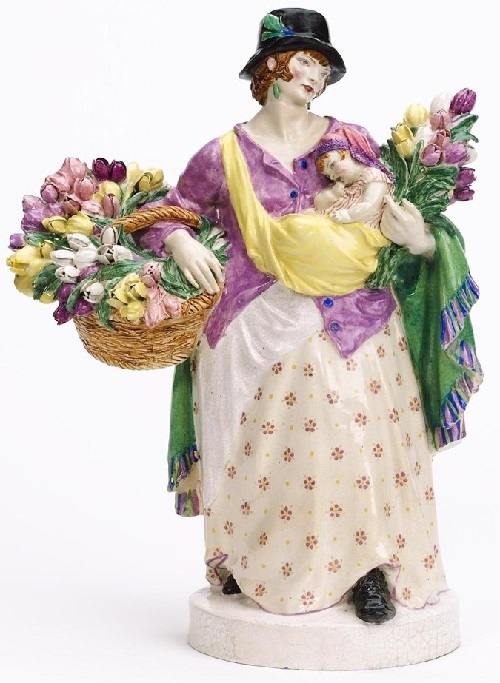 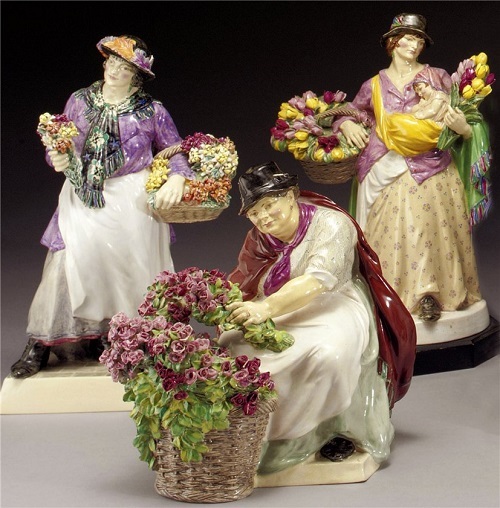 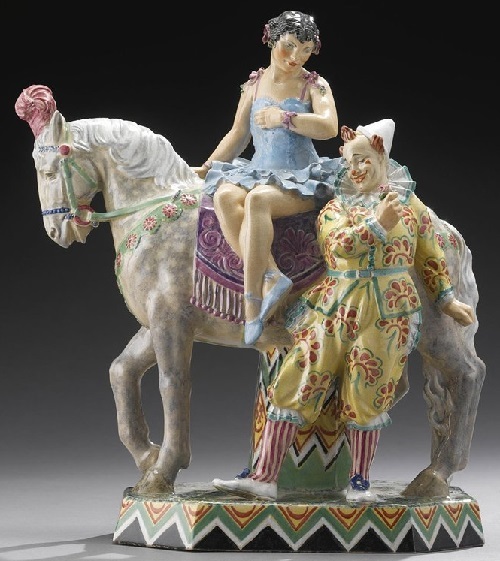 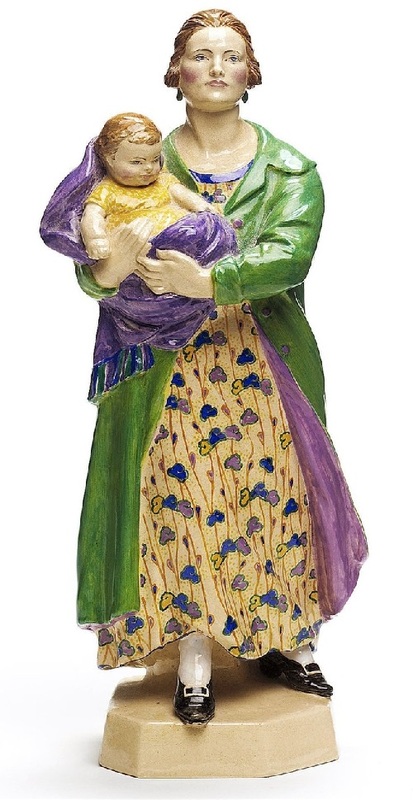 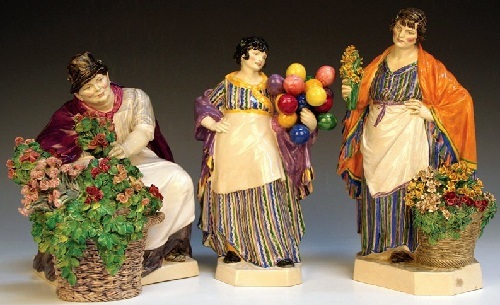 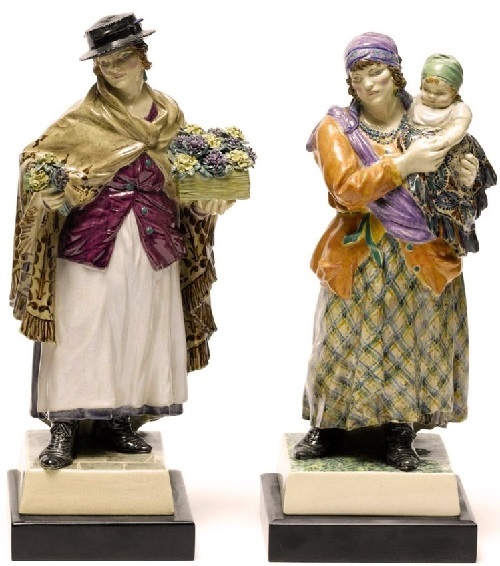 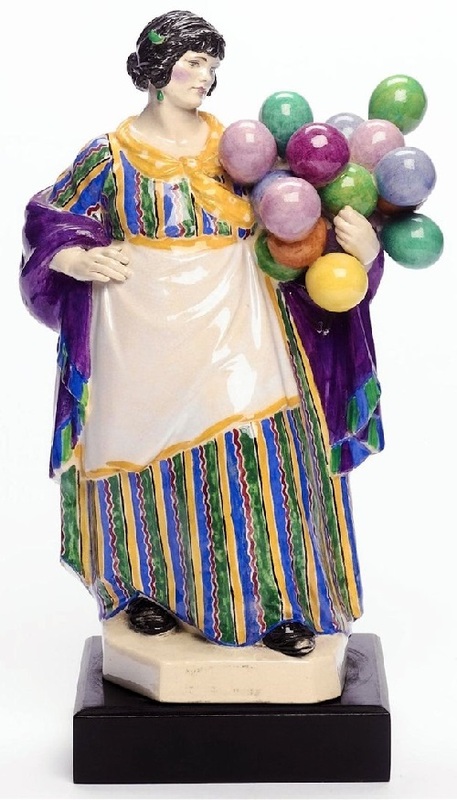 These slip-cast statuettes proved to be extremely popular and a number of women were employed to produce them. 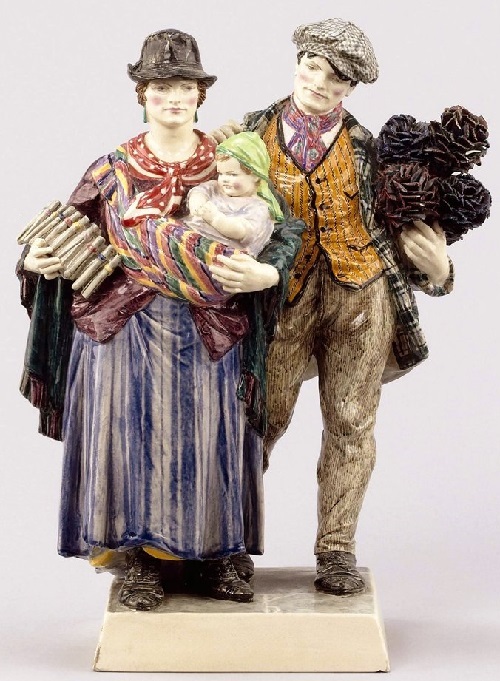 The Cheyne Walk studio was bombed in the blitz of 1940 obliging Vyse to teach at Farnham School of Art. 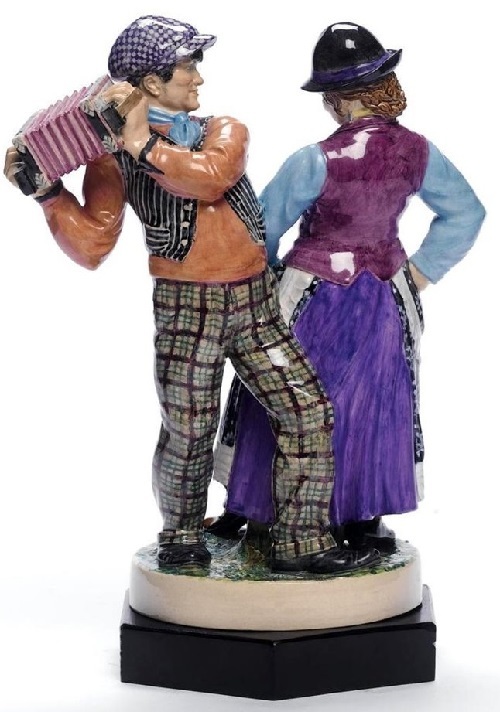 His relationship with Nell also ended at this time. 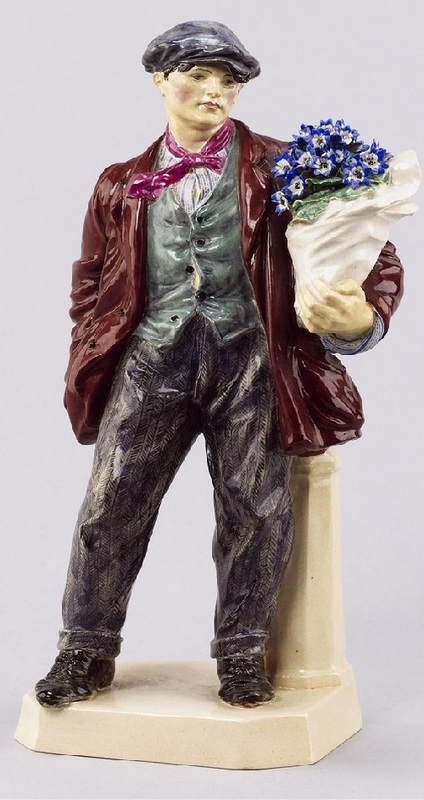 When the war ended, he resumed making the character figurines with the assistance of one of the Farnham students, Barbara Waller. 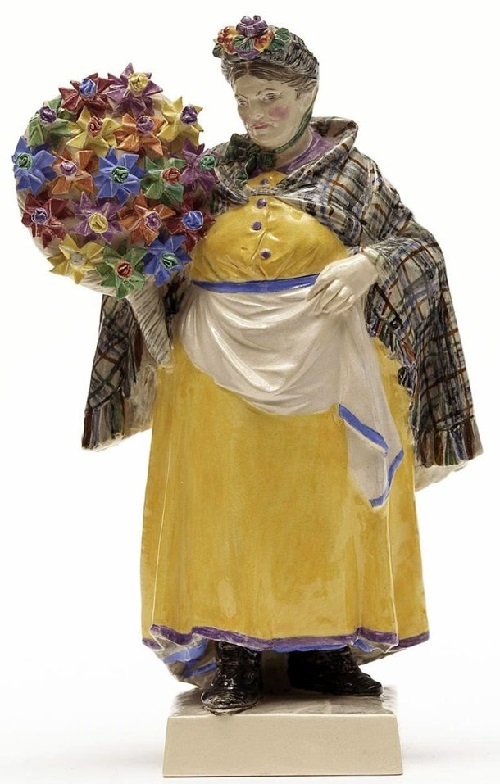 His annual exhibitions at Walker’s were resumed from 1950 up to his retirement in 1963. 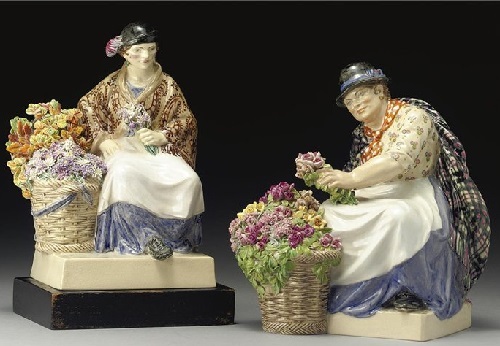 Charles’ and Nell’s work is exhibited in the Victoria and Albert Museum, York City Art Gallery, Aberystwyth University and Stoke-on-Trent.